Pretty Chit Chat: Prime Time! I use a primer on a daily basis but like many other women, good primers can come with a larger price tag so I use two different primers, one for everyday then one for occasions where I used my higher end cosmetics. I wanted to write about the cheaper one as I don't want everyone to think that because a primer is by a specific brand and has a bigger price tag, it automatically makes it amazing! Not the way.. 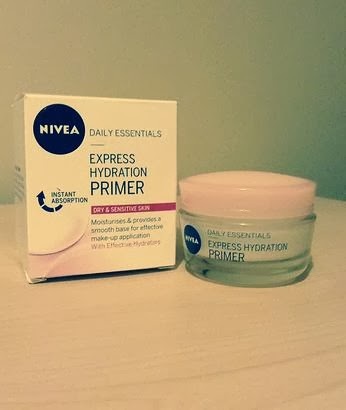 So on a daily basis I use the Nivea Daily Essentials Express Hydration Primer for sensitive skin. The reason why it's for sensitive skin is for some unknown biological reason mine and mum's facial skin, can't handle normal Nivea products?! But the sensitive range is fine! Confusing I know... But hey, I still love their products! So the Express Hydration Primer comes in at around £5 and for the price I would say it is amazing value! The primer is slightly more like a gel, it is extremely light on the skin and really does leave your skin hydrated! 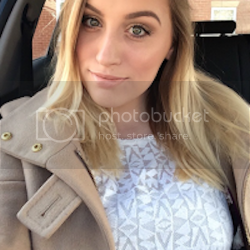 Once I use it, my skin feels really soft and it leaves a great base for my foundation to sit on. I have used it's for the last 5 months and I won't be changing it for a while!